Today offered a nice change of pace from the daily grind. I slept in, got dressed, and met up with a few of the girls for a shopping trip. 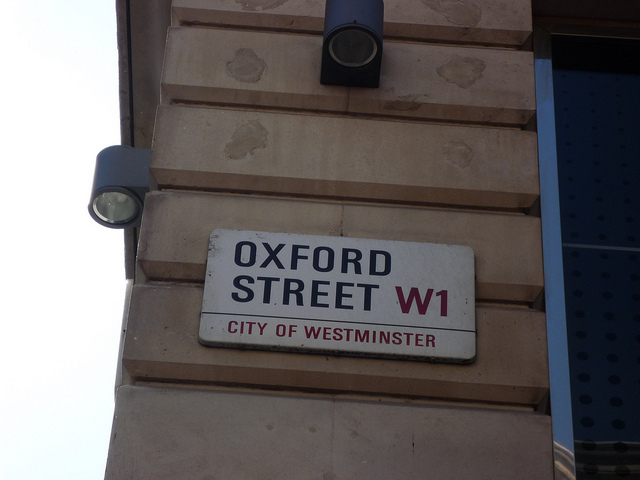 Cynthia, Shannon, Ashley, Heather and I trekked over to Oxford Street in search of new clothes. We could’ve taken the Tube, but the weather was nice, and we didn’t want to waste it. We popped into Topshop first, but their prices were too high. Also, I couldn’t seem to find anything in my size. Next, we headed down the street to H&M, where we ended up spending most of our time. They were having a massive sale. I bought a black skater skirt, an orange top, and a sweater for £18 (about $27), which wasn’t too bad. Before heading home, we stopped at Costa to get frozen drinks. They were delicious. After we returned to the university, we got cleaned up and headed out once again. This time, we went to The Court, our favorite pub. I ordered fish and chips (again). We spent a lot of time at The Court, came back to the university, and hung out until around three in the morning. Absolutely fantastic. I cannot believe that I’ve been here for a week. The days are really flying by. I can honestly say that this has been one of the best weeks of my life, and I know this month is only going to get better and better each day. London is a gorgeous city, and I really feel like I fit in here. Most of the cities in America feel violent, scary, claustrophobic. But London isn’t like that. People keep to themselves and are, for the most part, quiet. There is a bit of hustle, but it’s not too much. People take their time–with the exception of rush hour. In the restaurants, they won’t even bring you your check unless you ask for it. It’s awesome. I do love America, I promise I do. It’s just that I’ve never felt this comfortable before. Ironic, isn’t it? Haha thank you! I love it here.